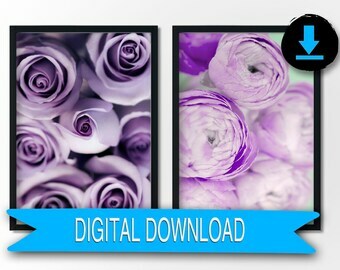 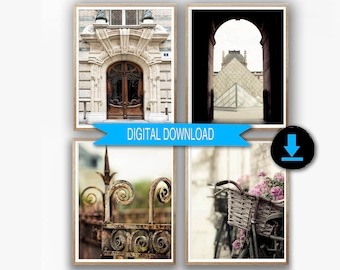 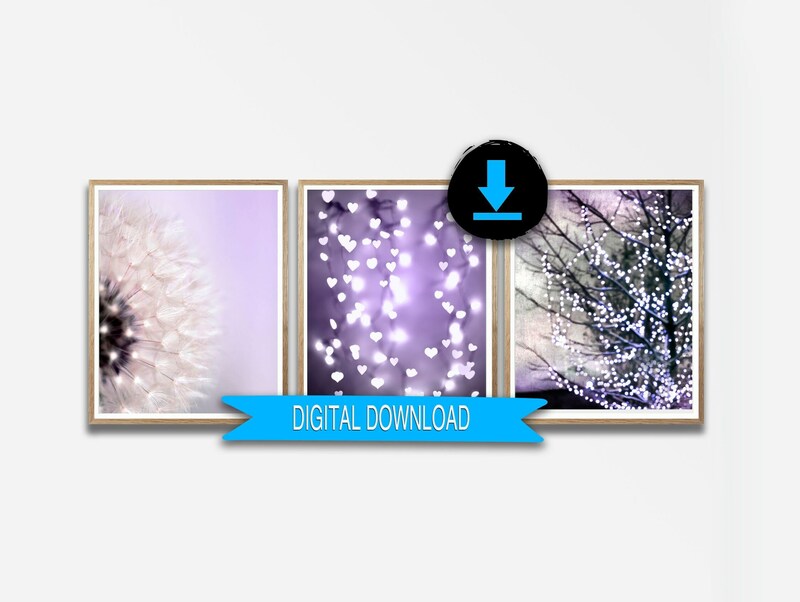 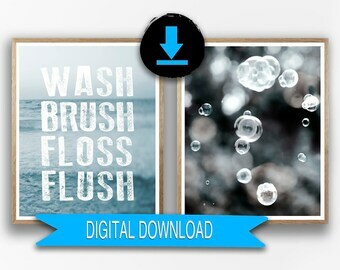 Set of 3 printable photos in shades of purple that you can hang together. 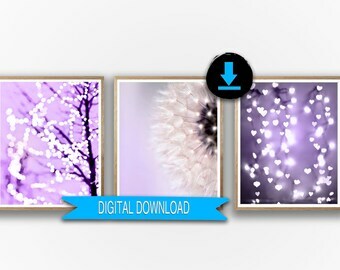 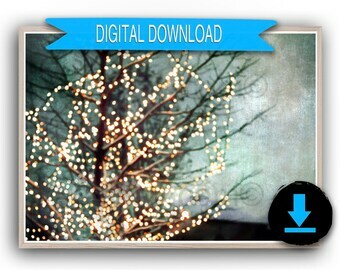 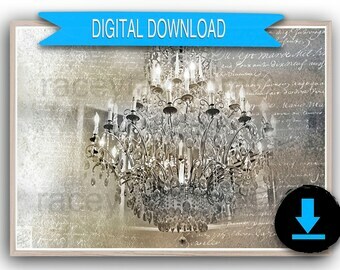 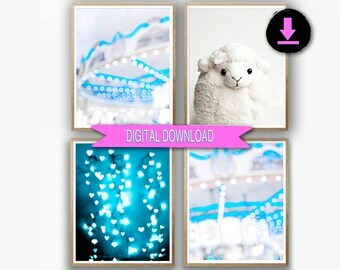 Perfect for a girl's room - whimsical and dream digital downloads. 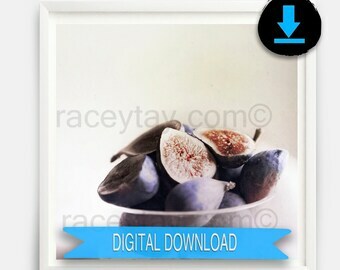 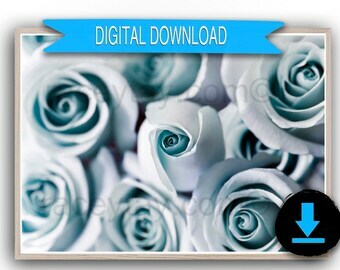 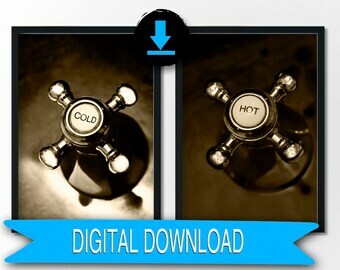 JPG files included in this download are sized 5x7, 8x10, 11x14 and A3 ( A3 can be scaled down to A4). Files are included in three zipped folders.